You can be part of the vision by making a tax-deductible donation - either one-time or recurring - through our secure payment process. Just complete the form to the left. 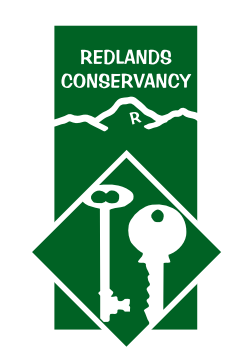 With a minimum donation of $45, you become a member of Redlands Conservancy, entitling you to discounts at all Conservancy events, including all Parties for the Necklace and the Annual Social. Higher giving levels offer additional benefits. You can review these on the Member Information page. We are a 501(c)(3) charitable organization, EIN 33-0600577. All donations are deemed tax-deductible absent any limitations on deductibility applicable to any particular taxpayer.